These WT-990 carburetors have been custom modified with high quality rubber-sealed bearings on each side of the throttle shaft. This mod helps with keeping sand and fine dust from entering via the shaft area via the weakest part, the carb shaft. When it enters it can gum up the shaft so that it binds, sticks open and in turn wears the carb shaft so it creates an air leak. This mod stops 99% of dust and sand from entering the carb making the carb basically maintenance free. 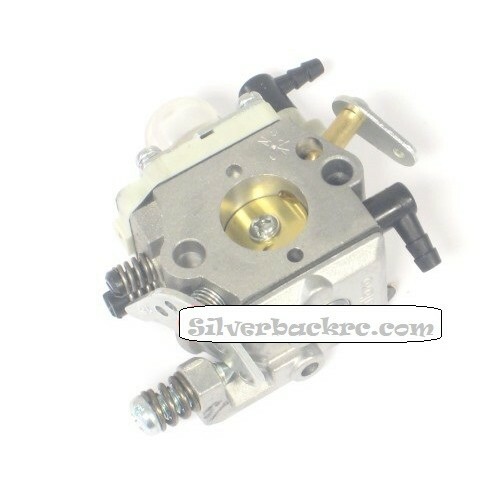 This is the carburetor recommended by Zenoah for upgrading your RC-style engine. Engines with the standard carburetor (WT-603, WT-668, etc) tend to experience a lag in low-end acceleration when tuned for peak power. Carburetor specs: Walbro WT-990. 15.88mm bore, 12.7mm venturi, independent tunable high and low speed jets. This carburator does not have an internal choke. 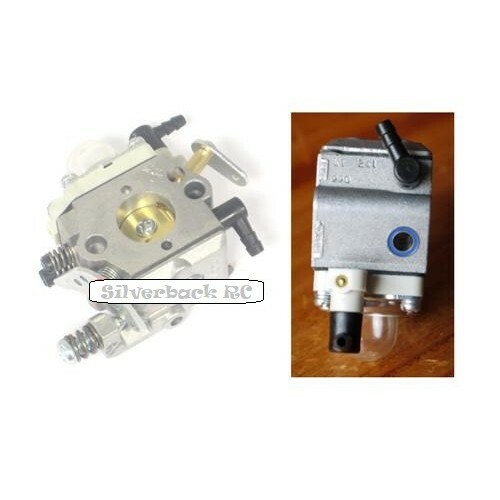 Note: This carburetor now comes standard with modified throttle shaft, so it will work perfectly in most R/C applications such as HPI Baja, FG Modellsport, etc. 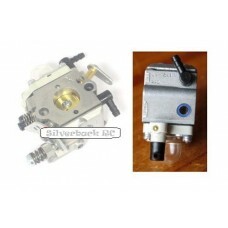 The WT-990 Carburetor is the same as the WT-813 WITHOUT an internal acceleration pump.